Martin Tyler gives us his latest teaser.. Can you solve it? 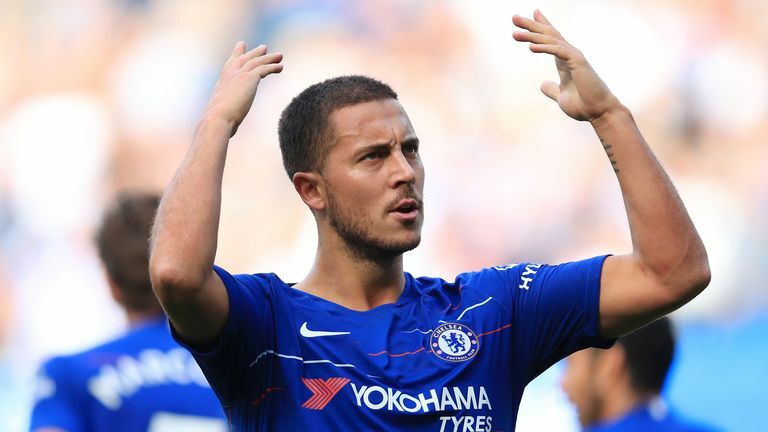 How does Eden Hazard's goal involvement for Chelsea compare to that of his rivals and who are the oldest players to score a first Premier League goal? 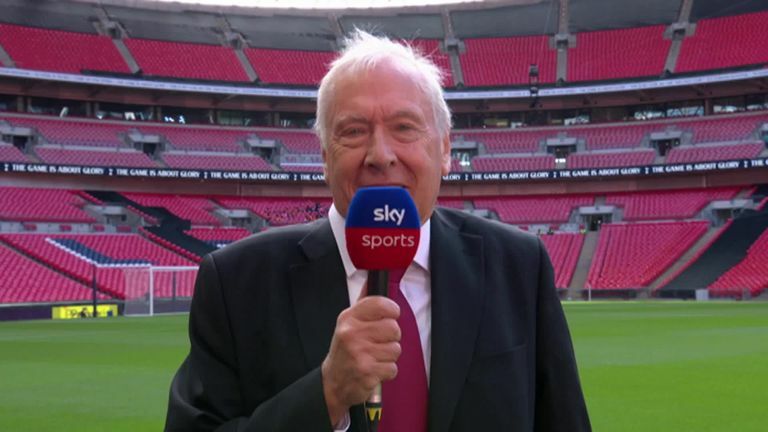 Sky Sports commentator Martin Tyler has the answers to those questions - and don't forget to try his tricky teaser on Theo Walcott and Premier League hat-tricks! I was at Wembley on Saturday, where Tottenham suffered back-to-back Premier League defeats for the first time since May 2016 when they lost 2-1 at home to Southampton and then 5-1 at Newcastle in the last two games of the season. Two of the five goals at Newcastle that day were scored by Gini Wijnaldum - who came back to haunt them again with his first Premier League away goal in his 58th away Premier League appearance, a sharp contrast to his 18 goals in 54 home Premier League appearances. 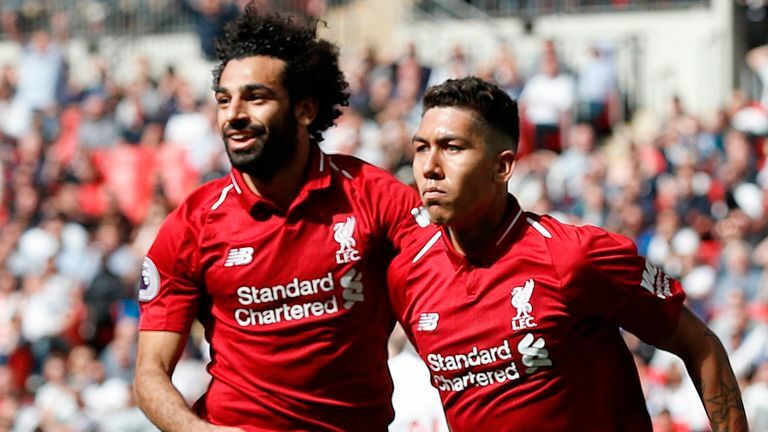 It was a first competitive win at Wembley for Jurgen Klopp. He had lost the 2013 Champions League final with Borussia Dortmund against Bayern Munich, the League Cup final of 2016 to Manchester City and had a 4-1 defeat in the Premier League to Spurs last season. Liverpool enjoyed their 10th win in 16 Premier League games in London under Klopp, but it was his first away to Spurs. He has now beaten all of the London clubs he has faced away in a Premier League game - with Fulham still to come this season. In 10 Premier League away games when Virgil van Dijk has started, Liverpool have only conceded nine goals. MARTIN SAYS: After 57 away games for Newcastle and Liverpool, Wijnaldum did at last score in the Premier League this weekend to end his draught on the road. So that means of those non-defenders still playing, Matt Ritchie now holds the record for most away matches without netting, which stands at 38 for Bournemouth and Newcastle. Interestingly, Swansea's Leon Britton holds the record by a non-defender for most home games without scoring, having gone 80 Premier League matches without finding the net at the Liberty Stadium. MARTIN SAYS: Hazard's brilliant hat-trick against Cardiff on Saturday means the Belgian has now been directly involved in 115 Premier League goals - 74 goals and 41 assists - since his Chelsea debut six years ago. However, that is still some way short of Sergio Aguero's numbers during that same period, with the Argentina striker having been involved in 152 league goals for Man City (123 goals and 29 assists). Meanwhile, Romelu Lukaku has had a hand in 139 goals (105 goals and 34 assists) for West Brom, Everton and Man Utd in that time and Harry Kane has been directly involved in 125 goals (110 goals and 15 assists) for Tottenham since August 2012. But none of Hazard's above rivals have laid on more goals than the 41 he has created for his Chelsea team-mates in the past six years, although that is still some way short of David Silva's 53 assists for Man City in the same time period. Opta do not award assists when players are fouled to win penalties - but Hazard has won eight in his Premier League career. MARTIN SAYS: You are indeed right, every time Chris Smalling has scored for United in the Premier League, they have won, a record the centre back extended to 11 matches after his impressive volley at Watford on Saturday. However, Smalling only currently shares that record with Ryan Babel, who also won all 11 league games he scored in for Liverpool between 2007 and 2011. Interestingly, Paul Pogba was on 11 matches won when he had scored - and was then asked to take an injury-time penalty against Brighton when they were 3-1 down. He scored, but he lost his record. As a matter of interest, the longest mid-career run for scoring and winning in the Premier League, belongs to Wayne Rooney. Between September 2008 and February 2011 he won 34 straight matches in which he scored for United. That record is held by Burnley's Graham Alexander, who was 37 years and 344 days old when scoring his first-ever Premier League goal against Sunderland in September 2009. Incredibly, Peter Schmeichel used to hold that record - yes, the goalkeeper - after the Dane netted for Aston Villa against Everton back in October 2001 at the grand old age of 37 years and 336 days. When it comes to the youngest player to score in the Premier League for the first time, though, then that record is still held by James Vaughan who registered for Everton against Crystal Palace aged just 16 years and 270 days back in April 2005. Can anyone better Romelu's record? 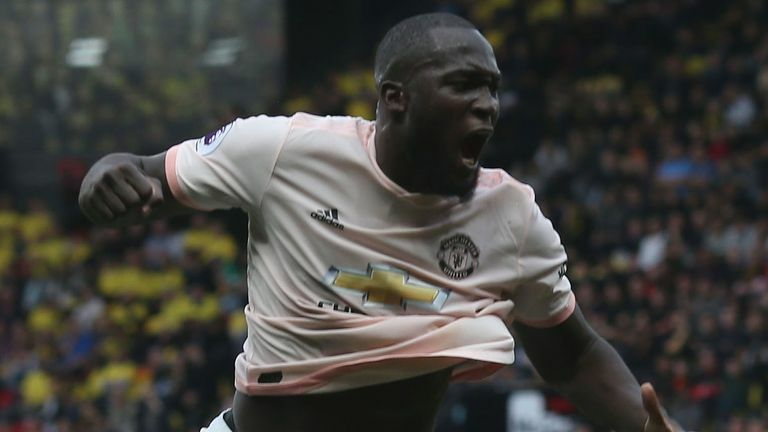 MARTIN SAYS: That is correct, Lukaku's strike at Watford on Saturday was the frontman's 105th in just 225 appearances for West Brom, Everton and Man Utd. However, at exactly the same age - 25 years and 114 days - four other players had more goals to their name. Michael Owen had scored 117 times (217 appearances) for Liverpool, Wayne Rooney had netted 111 goals (273 appearances) for Everton and Man Utd, Harry Kane had scored on 110 occasions (157 appearances) for Spurs and Robbie Fowler had registered 109 goals (199 appearances) for Liverpool. It's worth pointing out Alan Shearer did not play in the Premier League until two days past his 22nd birthday when he started on his record-setting Premier League career.